I saw this cute idea on Pinterest! 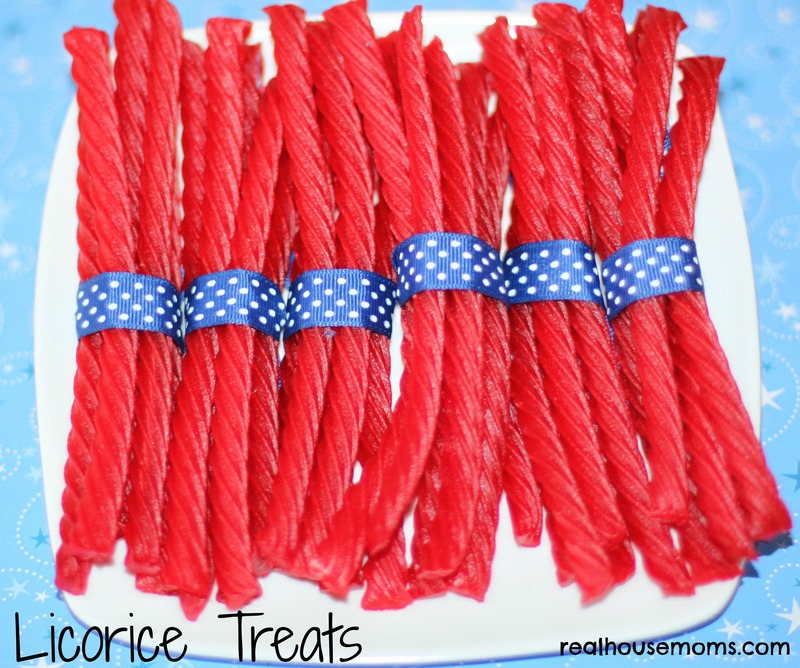 Red licorice wrapped in blue and white ribbon is an easy and fun treat for kids on Labor Day weekend. You could make these work for different occasions, simply by changing the ribbon color. They would be cute for Christmas with green ribbon wrapped around them. Licorice comes in so many different colors these days and you could get creative with changing them for different holidays or events.